Previous Post: HAPPY MEAL Next Post: What’s HOT. What’s NOT. Because my MIL Ruth (dementia) and granny Marnie (electric scooter girl) were not (unfortunately) INVITED able to attend our family camping trip.. I took these FAB pictures that speak VOLUMES for the kind of wonderful time that we had..without them. Oh look..see how WELL “your kids” get along? Shocking. 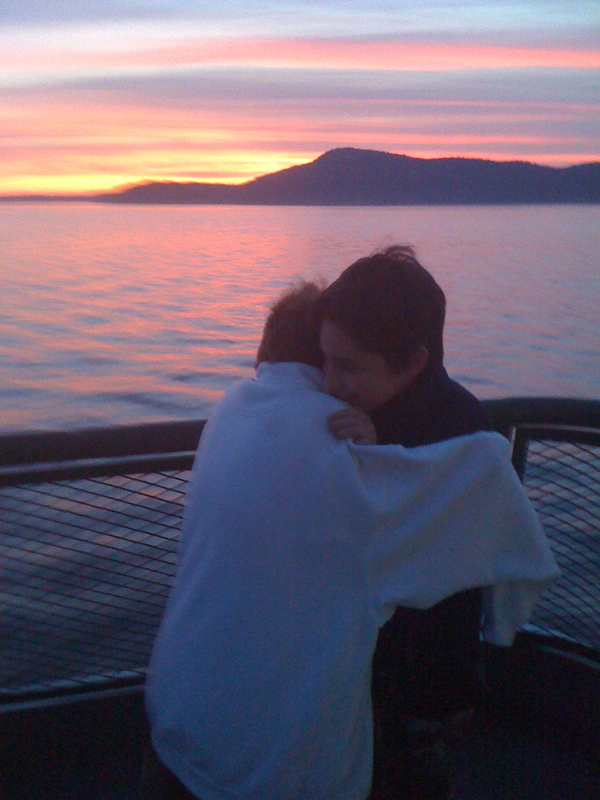 Never mind the wind chill was about 30 below zero on the deck of the ferry and they were huddled together to avoid hypothermia..we were just so DRAT EXCITED to be going camping in the San Juan Islands. I know there was some concern Marnie.. about how I would be CATCHING the food. You worried needlessly..as there was a Starbucks right down the road from the RANGERS with a minimal wait time. 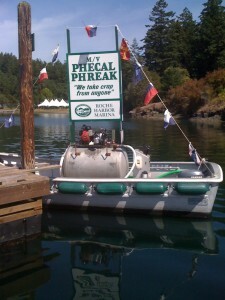 Look Ruth.. this could be your new HOUSE BOAT. 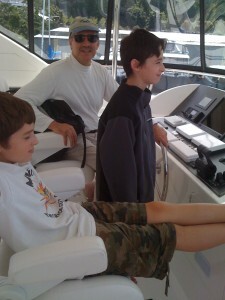 The boys heard all the stories about how YOU used to be a skipper on your OWN little waterski boat..remember? Maybe not. In the olden days (when a boat cost..about two weeks worth of boys combined allowance) you used to cruise all over. AlienDude and SmartAlec thought it would be nice for us to make a purchase of OUR OWN. heh. This one was a l-i-t-t-l-e out of our price range. This ONE..on the other hand.. 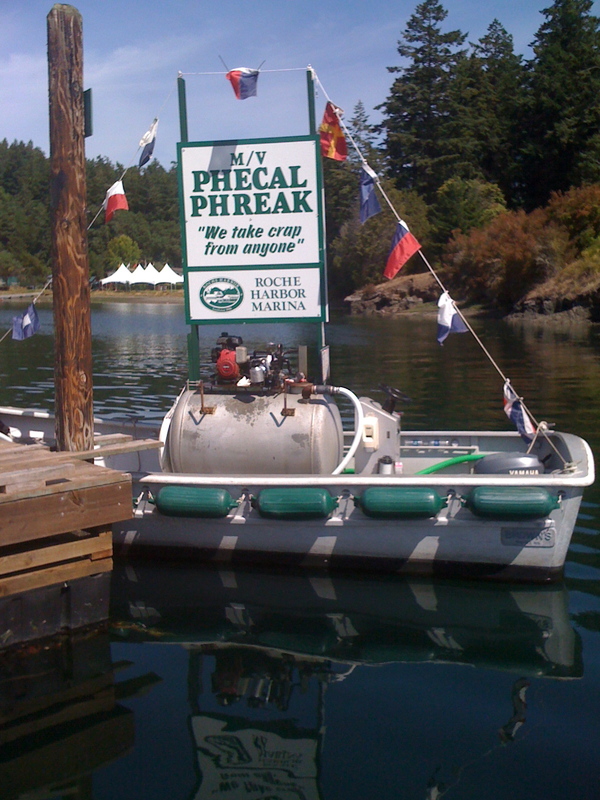 I think we found our NEW boat. Yes. I do think we could even ski behind it.. in our FREE time. OMG. Surprise. He found a rock. 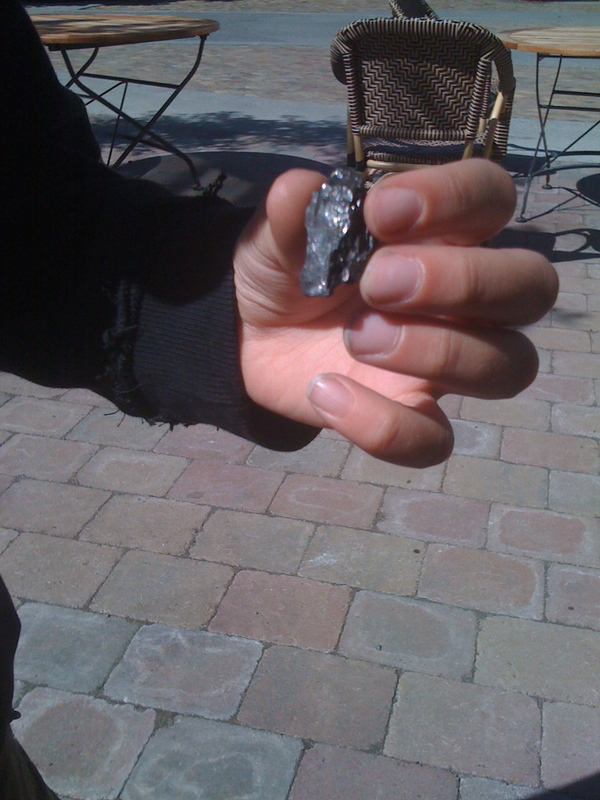 It’s no surprise that SmartAlec would find THIS priceless piece of obsidian after digging through the entire rockery in the Shwanky Shwank Hotel garden— over a period of two days. No. Don’t be concerned. He most certainly did NOT keep ALL of the rocks he liked. Only 50% of them. Posted in Uncategorized 9 years, 8 months ago at 5:59 pm.